Ohanaeze Ndigbo Worldwide has joyfully congratulated the management of the University of Nigeria (UNN), under the leadership of Prof. Benjamin Ozumba on the remarkable breakthrough in the field of Science which led to the successful invention and inauguration of a 100KVA Refuse Driven Fuel (RDF) gasification plant for its Nsukka campus. A release, signed by Chief Emeka Attamah, Special Adviser on Media and Publicity to President-General Ohanaeze Ndigbo, quoted the President-General, Chief Nnia Nwodo, as saying that this singular achievement by a team led by Prof. Emenike Ejiogu of the Department of Electrical Engineering had once again put the foremost university on the international map of inventions reminiscent of the discovery, years back, of an effective cholera vaccine by another cerebral scholar, Prof. Njoku Obi of the Faculty of Biological Sciences of the institution which helped in curbing the plague of the disease. The President-General said that this invention is clearly another attestation to the creative ingenuity of Ndigbo, and is most remarkable at a period fossil energy is diminishing in its relevance in the world. 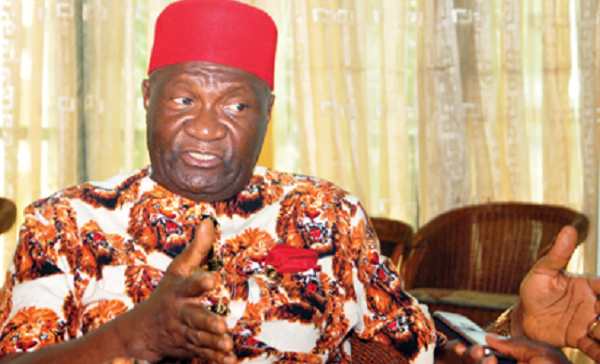 Chief Nwodo advised the institution to increase its research into other areas that can help in making life easier for the people.